At the core of our dental practice is a friendly team of professionals that is dedicated to your child's utmost comfort and optimal oral health. We view each patient as a unique individual, and tailor each treatment to their specific needs. As part of our commitment to providing close, personalized attention to every patient, we want to encourage patient communication. Please know that we are here to provide outstanding patient care, and that we value the trust you have placed in us. As your dental health professionals, we want you to be confident knowing that we are a team of highly trained and skilled clinicians. We pride ourselves in providing the care you need to keep your child's smile healthy. Robin joined our team in 2013 and we couldn't be more thrilled with the competence and enthusiasm she brings to her position! 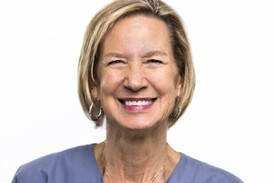 With over 30 years of experience in the dental field, she has a depth and breadth of knowledge that is unmatched! Luckily for us, she also has a great love of anything technical and computer-related. She has helped to launch us into the 21st Century (and beyond!). Robin and her husband, Robert have two grown children, Melissa and William...and two growling children: Rottweilers Zeus and Diesel. Robin loves to travel and would love to be on a beach in Hawaii right now if we'd let her!! 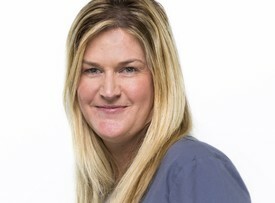 Teresa joined the practice in 2002 and immediately found her calling as a Pediatric Assistant Extraordinaire!! She manages all of the assisting and back office management and makes it look easy! This multi-tasker is Mom to two sons: Brandon and Dylan with her husband Gary. Teresa has a large, extended family in Stockton that is always keeping her busy and her social calendar full. As an animal lover she has rescued many dogs and cats ...but no raccoons! Ask her about the "friendly" neighborhood raccoon that made its way into her garage!